I am a bit confused. I've measured all the wires of the cut cable. No wire is connected to pin 14 (+ 5V). Ground and hot plug were unique. The red wire that I had previously identified as + 5V was actually DDC clock. I used a HDMI C plug that has a small PCB (see picture) to make soldering easier. I now have both adapters, but had no success. With both adapters I get identical results. All my cameras (G1x, S110, SX230, M3) have 5 volts on the HDMI port in playback and recording mode. With the G1X and S110 I've tried HDMI ChangePowerState and EnableHDMIPower /DisableHDMIPower in both playback and recording modes, in no case has the output changed. To control an external device, I now probably only the focus lamp. However, it will be difficult to attach a light sensor there. 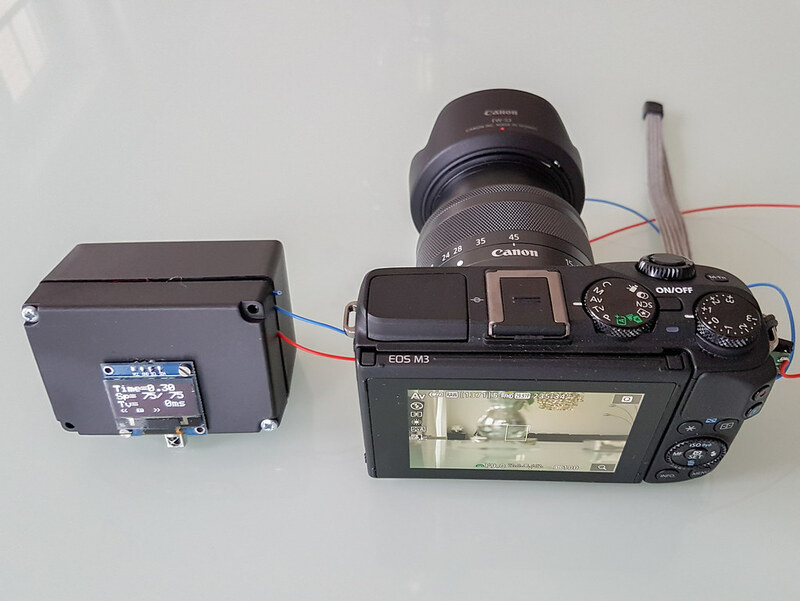 Would it really be possible for cameras with a hot shoe to switch the flash contact? Tried 3 of my cameras - m10, sx280, ixus115. Only the sx280 reacted to EnableHDMIPower and DisableHDMIPower, and this was also the only cam that switched the 5V off in rec mode. Probably, but I don't know how often the cam would allow you to "flash". HDMI also has alternative communication channel(s) DDC and CEC, but they are used by firmware tasks for obvious reasons. As far as I know, there have been no experiments with those. but I don't know how often the cam would allow you to "flash". It is not necessary to control the flash contact. The time the contact is closed is pretty much the exposure time (measured on G1x an M3 ). The value does not go below 40ms. What can the 5V voltage drive? The HDMI connector provides a pin allowing the Source to supply +5.0 Volts to the cable and Sink. All HDMI Sources shall assert the +5V Power signal whenever the Source is using the DDC or TMDS signals. The voltage driven by the Source shall be within the limits specified for TP1 voltage in Table 4-22. An HDMI Source shall have +5V Power signal over-current protection of no more than 0.5A. All HDMI Sources shall be able to supply a minimum of 55 mA to the +5V Power pin. A Sink shall not draw more than 50 mA of current from the +5V Power pin. When the Sink is powered on, it can draw no more than 10mA of current from the +5V Power signal. A Sink shall assume that any voltage within the range specified for TP2 voltage in Table 4-22 indicates that a Source is connected and applying power to the +5V Power signal. A Cable Assembly shall be able to supply a minimum of 50mA to the +5V Power pin to a Sink, even when connected to a Source supplying no more than 55mA. The return for the +5V Power signal is DDC/CEC Ground signal.